Alexandra Lethbridge. Etch her name into your memory because this girl is going places. 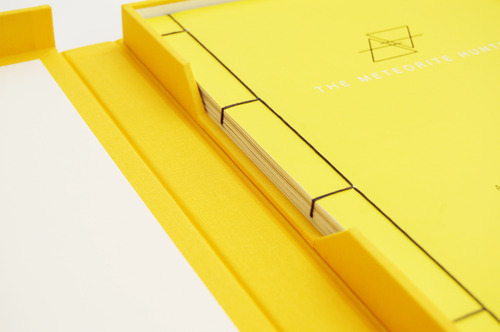 Ally, as she is also known, has got industry tongues waggling with her subtly layered project – The Meteorite Hunter, which she recently self-published. The implication is, then, that these rocks are meteorites, and looking at the images you would assume they are; but, while one rock is in fact a real meteorite from space, the others are not, says Ally. They mostly come from museum gift shops, she reveals. 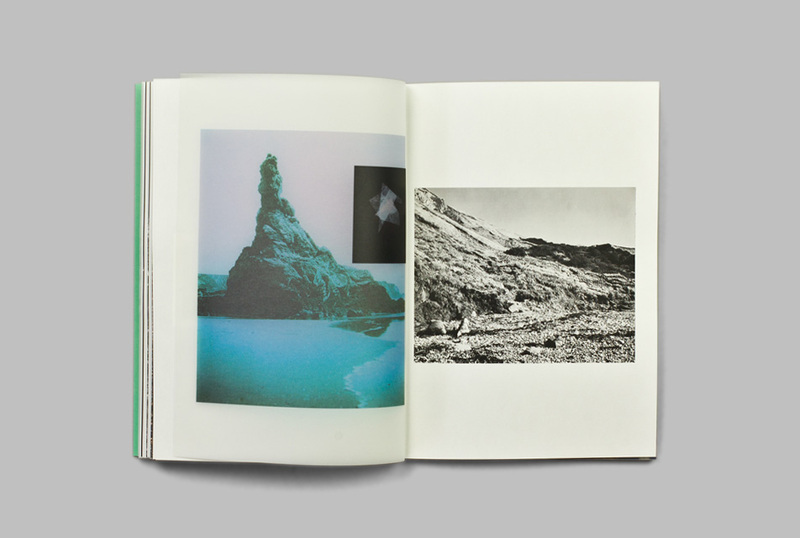 In this way, the series (and book) play with the idea of reality and fiction, encouraging the viewer to question what is real and what is not. Hidden captions concealed in panels at the beginning and end of the book reveal the source of each image, but the absence of text throughout (with the exception of chapter headings) helps to keep up the pretense. 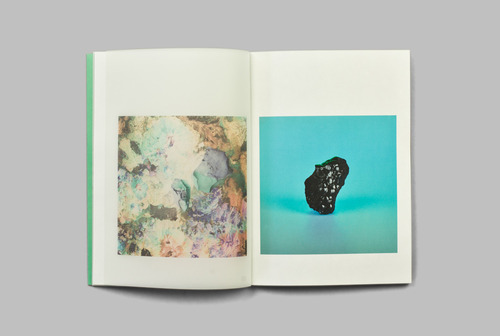 Ally, who graduated in 2014 from the University of Brighton with a Masters degree in Photography, explains she always wanted the book’s design to incorporate an element of “searching” and “hunting”. In addition to the hidden captions, Ally printed the images on tracing paper as well as on thicker paper stock, exploiting the different qualities of the papers to encourage the reader to look hard at what is being presented. Ally says she made many book dummies before settling on the final design, which uses Japanese binding and comes in four colours. 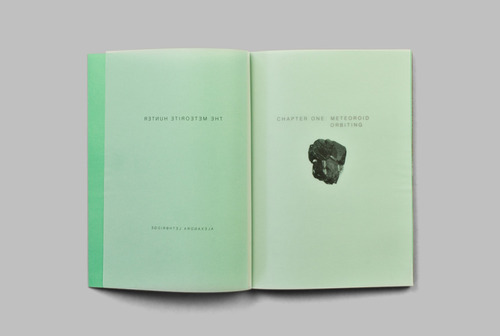 Producing a small edition [of 100 copies] gave her the freedom to “make the book exactly how I wanted it to be,” although she was mindful of staying true to the essence of the work. Indeed, 2014 as a whole “has been a real learning curve,” says Ally, not least in terms of her practice. “For a long time my work has been in two places: half is film photography, landscape, straightforward; the other half is collage, and more experimental. The past year has been a [case of] figuring out how these things can come together.